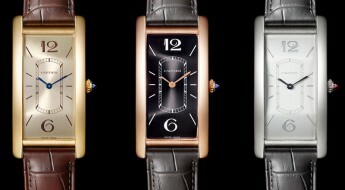 This completely new line to the Cartier family of watches brings along two innovative features: its shape and crown. The Cartier de Clé isn’t round, nor oval, it’s a shape somewhere in between, but it definitely looks elegant and desirable. 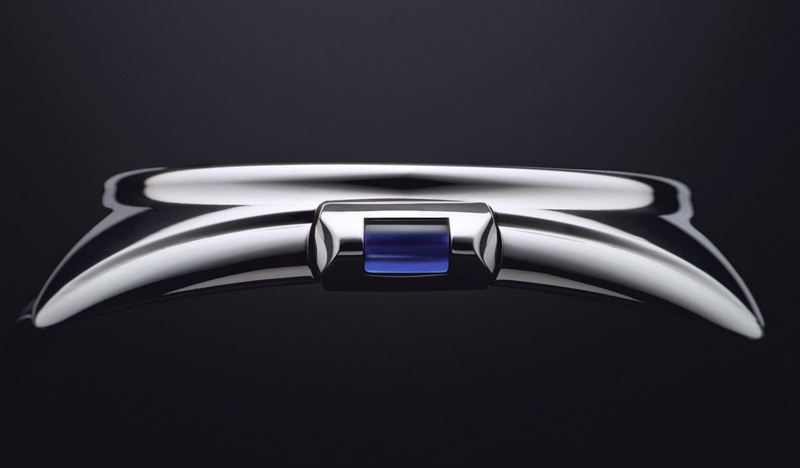 A simple circle shape defines the structure of the case, featuring fluid horn-shaped lugs which curve to adjust to the wrist and contribute to this watches peculiar shape. 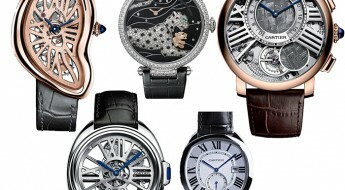 A unique and innovative crown system has been designed by Cartier. Highlighted by a blue sapphire flushed into the key with the metal surrounding it. The indexed winding-system of the Cartier de Clé is controlled by this key. With little effort a soft twist of the key causes it to pivot, so it can be pulled out of its resting position, in order to set the time and date. The way the winding system has been designed prevents from accidentally moving the hands, once you’ve finished setting the watch. And another soft twist brings the key pivot back to its resting place, complete with a clicking sound to reassure it’s in position. 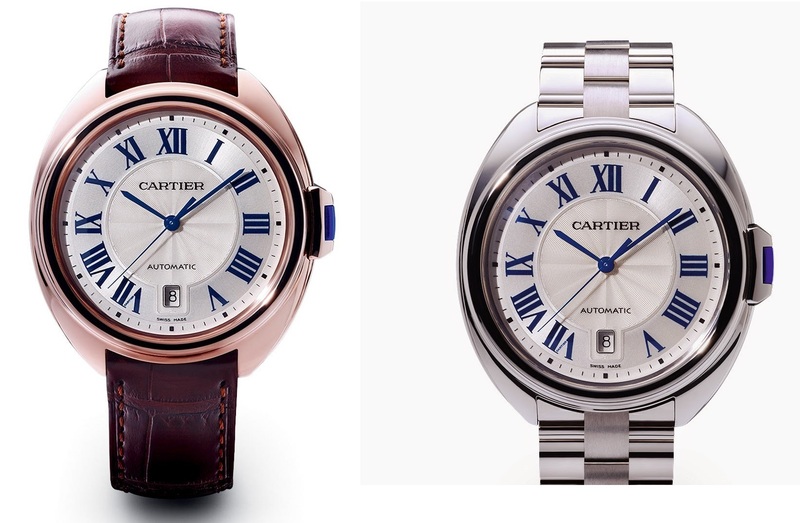 The Cartier logo rests under the 12 o’clock position, while the rest of the dial maintains a traditional design. Bold roman numerals are painted blue to match the sapphire crown and blue steel hands, while contrasting with pearl-white outer rim. Except for the excluded 6 o’clock position, where they’ve inserted an aperture for the date. “Clé” means “key” in French and it has a reason for being part of the watches name in order to highlight the new innovative crown mechanism. 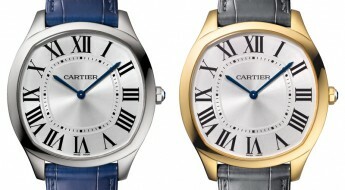 The watch is powered by a Cartier in-house caliber 1847 MC, and retains a power reserve of up to 42 hours. 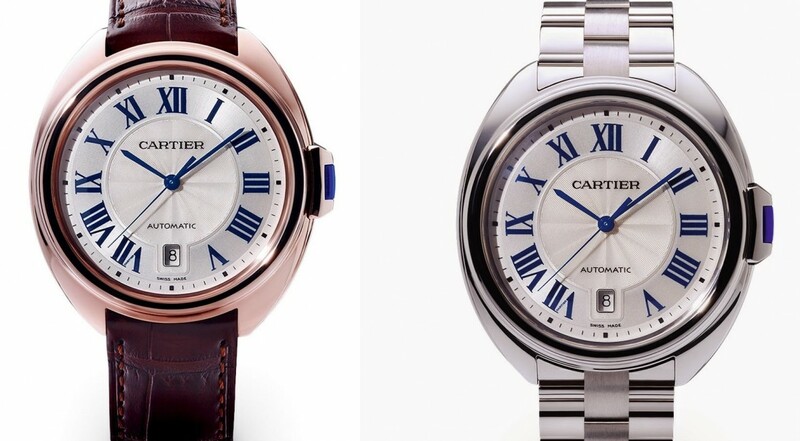 This new self-winding movement is an in-house innovation that attributes Cartier with more independency from their supplier, the Swatch ETA group. 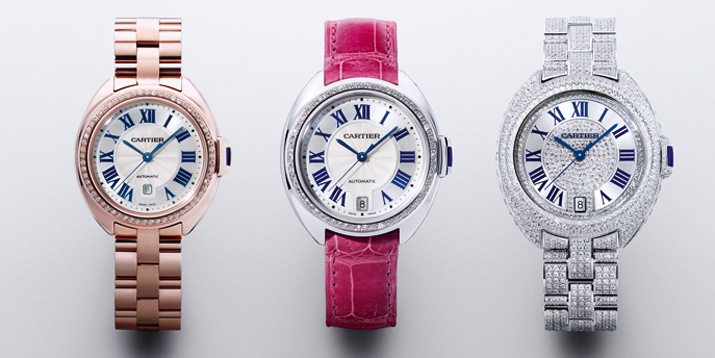 The Cartier de Clé is available in three diameters: 31, 35 and 44mm; and also comes in: white, yellow and rose gold. Also worth mentioning are the diamonds included in the 35mm women’s model, that maintain Cartier’s aesthetics towards elegance and luxury.